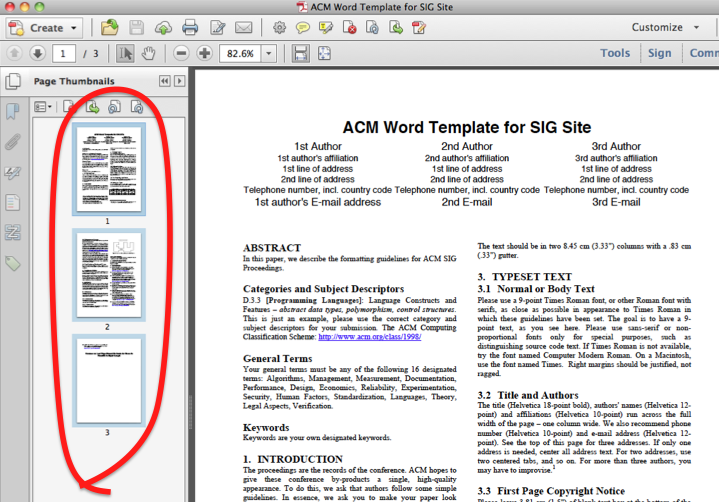 This page gives step-by-step instructions for how to add basic accessibility information to a PDF document intended for ACM. ACM publications are read (and reviewed) by many people. Making your paper accessible will help to promote the equal participation of people with disabilities in science and engineering. These instructions are also available as a captioned video. 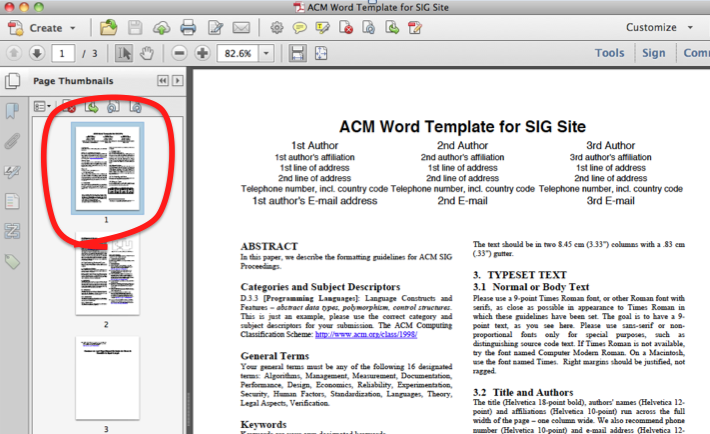 Note: If you are using Word on a PC, start by adding accessibility directly to your Word document. 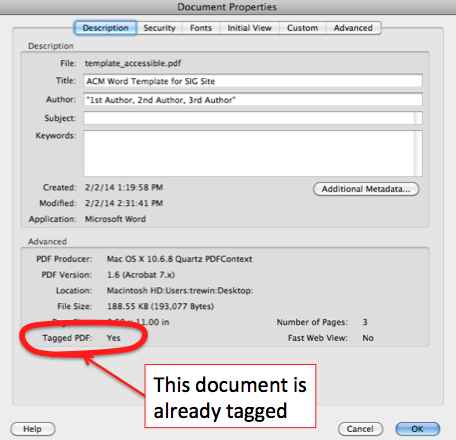 It will be automatically transferred into every PDF you generate. These instructions are for Adobe Acrobat Pro XI. Please see Adobe’s best practices for detailed instructions covering more versions of Adobe Acrobat. We encourage you to go the extra mile, especially for a camera-ready paper. Font embedding is an ACM requirement. 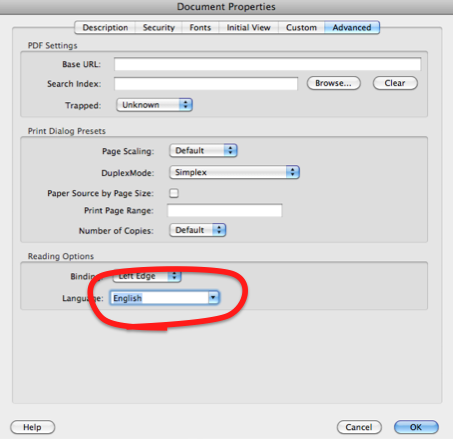 If fonts are not embedded, your PDF will need to be regenerated, and you may lose accessibility that you have added. 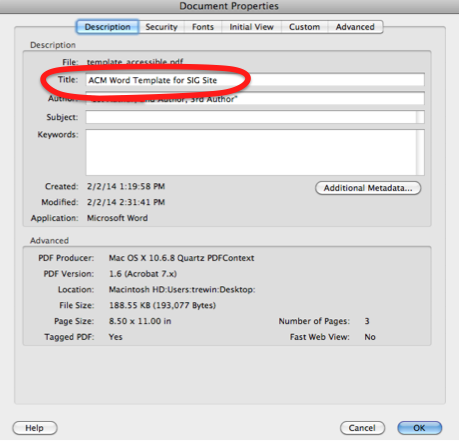 Type Command-D to bring up the document properties dialog. Check that all of the fonts have ‘Embedded Subset’ in parentheses after the font name. There is one exception, illustrated below. 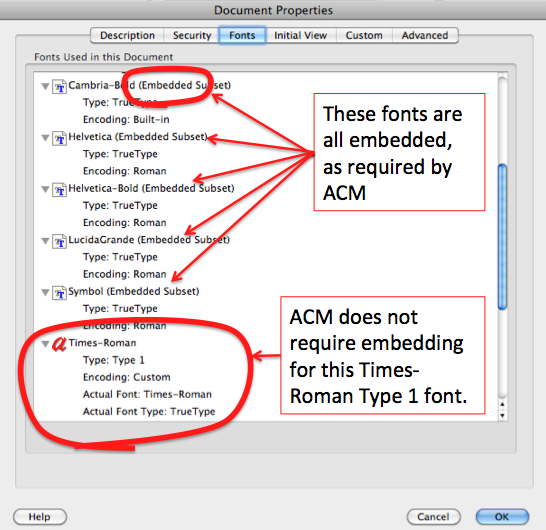 The font ‘Times-Roman’ with type=1 and Encoding=custom is generated when tags are added to a pdf document by Adobe Acrobat Pro. 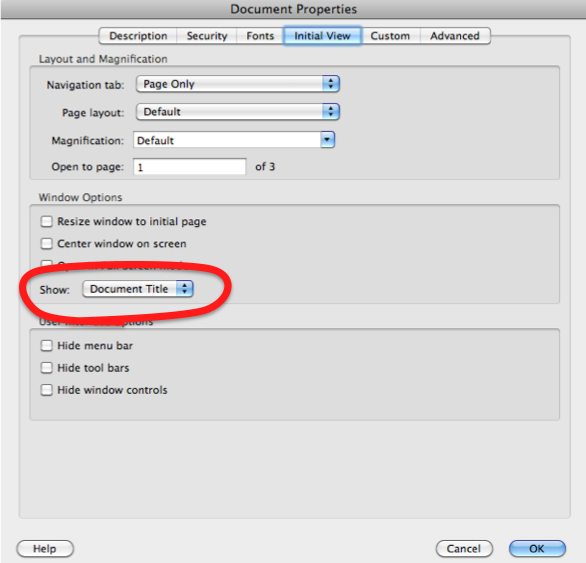 It does not appear in the document and does not need to be embedded. 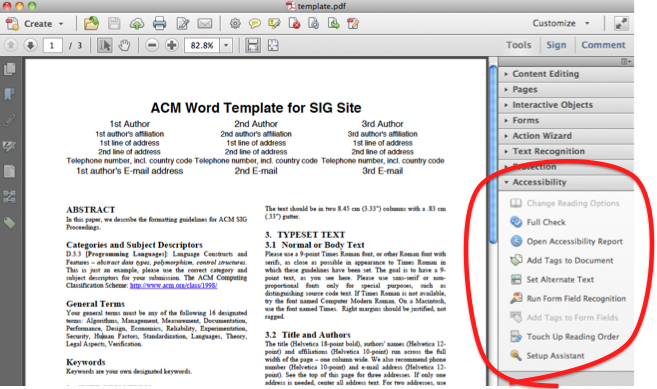 If fonts are not embedded, regenerate your pdf with embedded fonts BEFORE going further with accessibility. Fill in the ‘Title’ field with the paper title. Select the ‘Initial View’ tab. In the ‘Window Options’ area, in the ‘Show’ drop-down box, select ‘Document Title’. In the ‘Reading Options’ area, in the ‘Language’ drop-down box, select ‘English’. 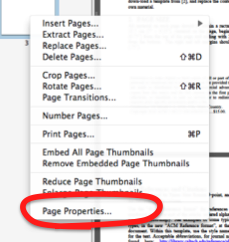 Look for ‘Tagged PDF: Yes’ among the set of advanced properties. 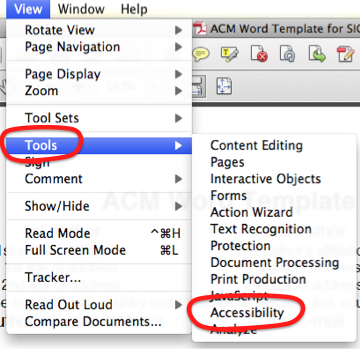 The accessibility tools will open in a panel on the right. 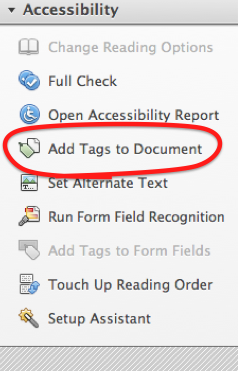 Select ‘Add tags to document’. Select ‘OK’ in the dialog box. Repeat for all images in the paper. Click the right arrow to move to the next image. 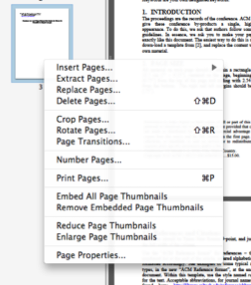 Select the Page Thumbnails icon at the upper left of the document view. Type Command-A (or Ctrl-A on a PC) to select all the pages. Right click to open the context menu. 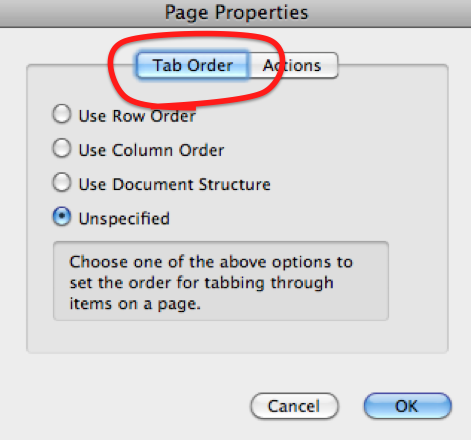 In the ‘Page Properties’ dialog, select the ‘Tab Order’ tab. Click ‘OK’ to close the dialog. 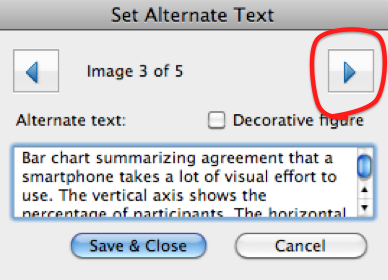 Right-click on a table in the document. 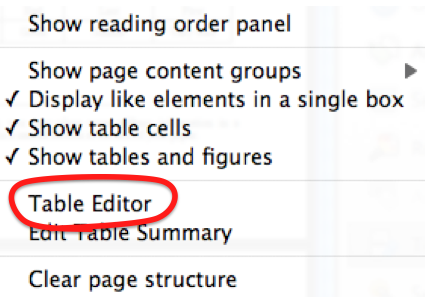 Select ‘Table Editor’ from the context menu. If there is no ‘Table Editor’ option, then open up the ‘Touch Up Reading Order’ accessibility tool, to see the document markup. 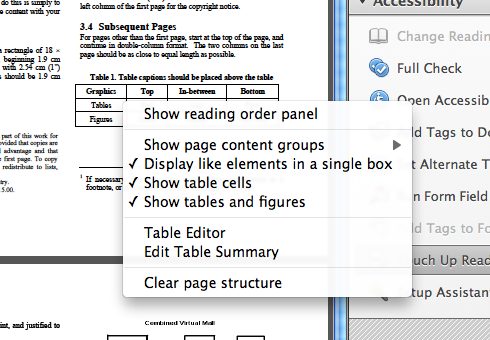 If the table is marked as a table, try right-clicking on the table again with the ‘Touch Up Reading Order’ tool open. If it is not, use the ‘Touch Up Reading Order’ tool to mark up the table. The cells of the table should be outlined, and labelled either ‘TH’ (table header cell) or TD (table data cell). If the cells are not correctly outlined, then use the ‘Touch Up Reading Order’ tool to mark up the table. If any cells of the table are not correctly identified as header or data cells, right-click on the cell, and select ‘Table Cell Properties’. 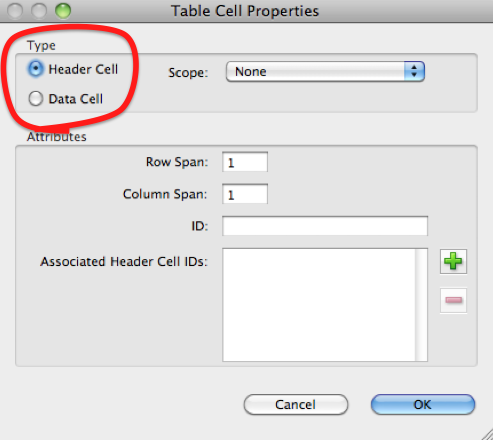 In the ‘Table Cell Properties’ dialog, select the type of cell: Header Cell or Data Cell. 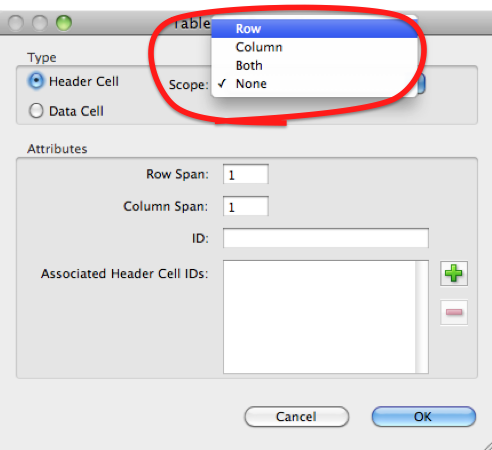 If the cell is a header cell, indicate the scope – whether it is a header for the row, column, both or neither. 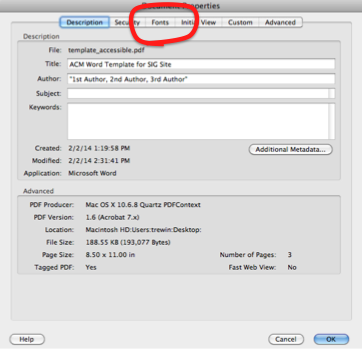 Following these additional steps will make your paper even more accessible. Use the ‘Touch Up Reading Order’ tool to check the reading order and mark up headings. 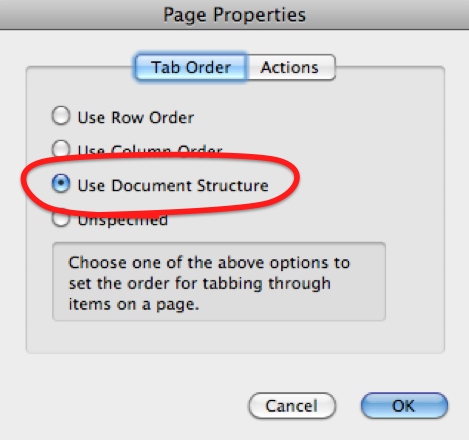 This makes your paper easy to navigate. 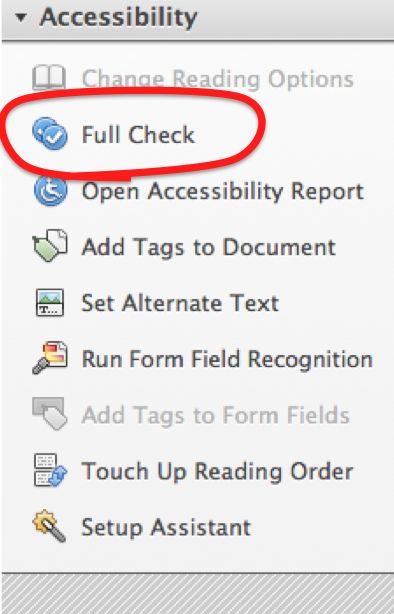 Run the accessibility checker to see if there are further accessibility issues in your document. 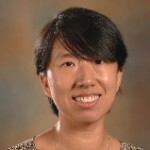 The checker produces a report that provides help with fixing many accessibility problems. 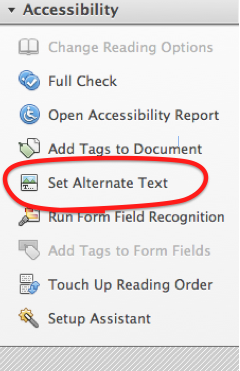 For more information please refer to Adobe’s accessibility resource center.